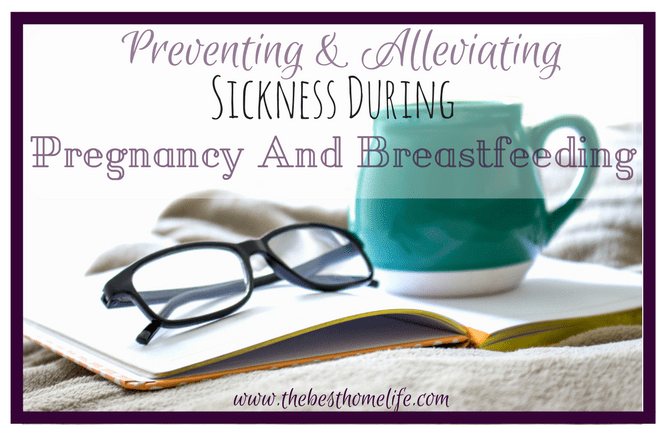 Fighting a cold or the flu when you are pregnant or breastfeeding is such a battle. Most herbs and prescriptions say that you can’t have them or you need to consult your physician if you are pregnant or lactating. So, what is a mama to do??? Well, with a lot of trial and error, I found what worked best for me when I was sick through this period. Hopefully these tips help you as well and you can get on the road to recovery soon. 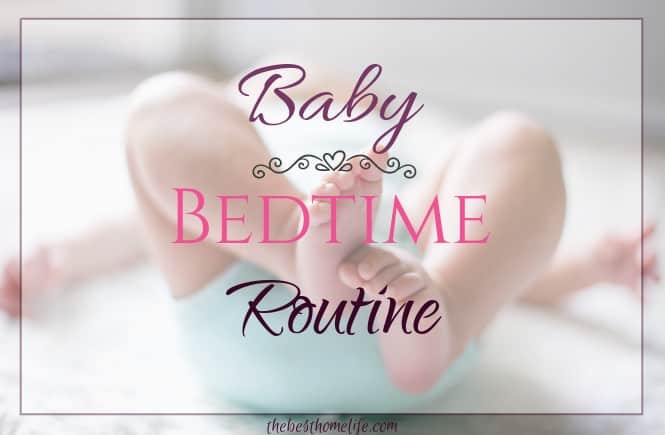 After I got home from the birthing center and was home with my precious baby girl for a couple months, I found we both kept getting sick fairly often. Sometimes as often as 1 to 2 times a month. It was hard for both of us and everything that I usually took when I was sick, wasn’t safe for nursing or while you were pregnant. During my labor I was given antibiotics. ( Something I personally regretted ) Antibiotics can kill the good and bad bacteria in your body and it can take quite a while for your immune system (and that of your baby’s if you were pregnant) to get back to normal. I know… water is boring but it is so important. Water is one of the best ways to flush toxins out of our body. A goal, is to always drink half of your body weight in ounces. Drinking fluids is not fun to do but staying hydrated is crucial. 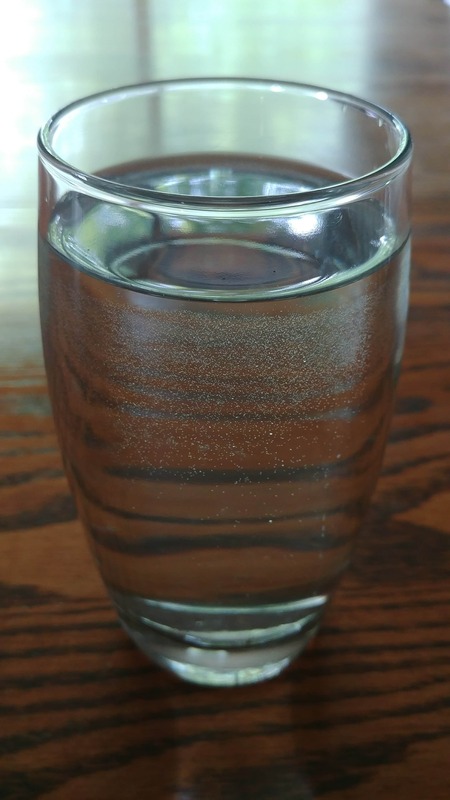 If you are pregnant and you are cramping when you are sick, it may be because you haven’t been drinking enough water. Dehydration can lead to cramping. ( I found this out the hard way. Dehydration when pregnant is no fun )*Always consult your physician or midwife when you are experiencing cramping of any kind. If you are breastfeeding, water is very important for your milk supply and for your energy. A mother’s milk supply can drop significantly when sick. Adding lemon or lime, juice or fresh wedges to your water, help sore throats. It can also reduce phlegm, which in turn, may help you to stop coughing too. 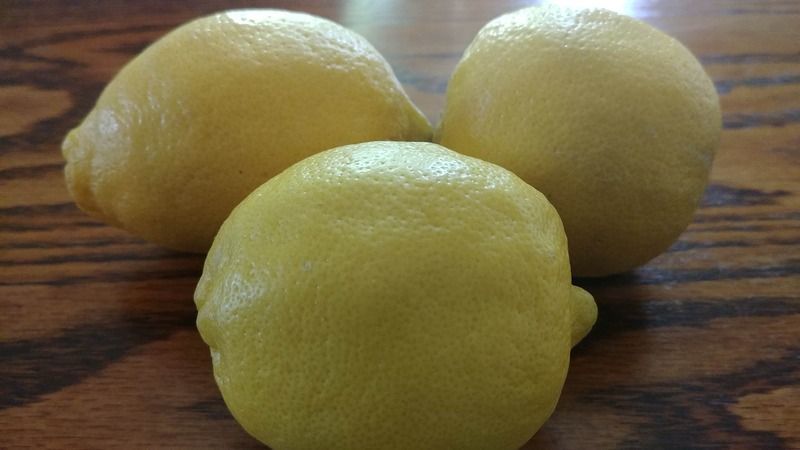 Lemons and limes, both have antibacterial qualities to them. By adding a teaspoon or so to a cup of water or tea, really helps soothe sore throats. Honey fights and kills bacteria. Adding it to oatmeal, tea or plain hot water, can really help. Pineapple juice is great for before and after pregnancy. My favorite ways to have my pineapple juice, is by buying the small cans of Dole pineapple juice. Fresh cut up pineapple is even better too. Pineapple is full of bromelein. Some say that pineapple juice is better than cough syrup. I agree and I’ll take the juice to cough syrup any day. 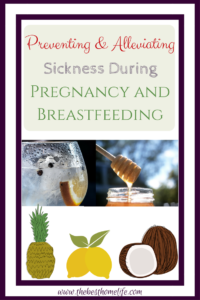 If you are breastfeeding, pineapple juice can also help build or maintain your milk supply when you are sick. I tried it and it really does work. Probiotics are one of my favorite ways to keep sickness at bay. Whether you are already sick or just wanting to prevent sickness, probiotics are one of the best natural defenses. You can get probiotics from foods like yogurt, sauerkraut, other fermented vegetables, and kefir. You can also get the right probiotics, by capsule form.I have been using the *brand NOW and have really loved using their high quality probiotics. They are vegetarian/vegan, organic, and I only need to take one capsule a day. With 20 Billion active probiotics, I am happy with the results after taking them. Probiotics have live active cultures in them. At least they are supposed to. So, make sure you test them. To test to see if your probiotics are alive, empty 1 capsule into about 1/4 cup of milk. Let sit for 2 to 8 hours. After this time, you should see your milk start to curdle. While looking at it, it should remind you a little bit of yogurt. If you had been given antibiotics before or after your birth, probiotics are the perfect solution, to add that good bacteria back into your body to help fight off sickness. ‎I first found out that coconut oil helped with throat problems when I had tonsillitis. By simply gargling a teaspoon of coconut oil for about a minute or two, I found there was an improvement in any inflammation, I had in my throat. If I remembered to do it 3 times in a day, my sore throat would be gone, that day or the next. So, if you are having a sore of any kind, you might want to try gargling coconut oil. *Some people are very sensitive to gargling coconut oil. It can cause a gag reflex. To help reduce this, you can melt the coconut oil first and then gargle it. Remember to never spit the oil in your sink, it may clog your drain. If your nose is plugged up and you are having a hard time breathing during the day or especially in the night time, a diffuser might be the answer. 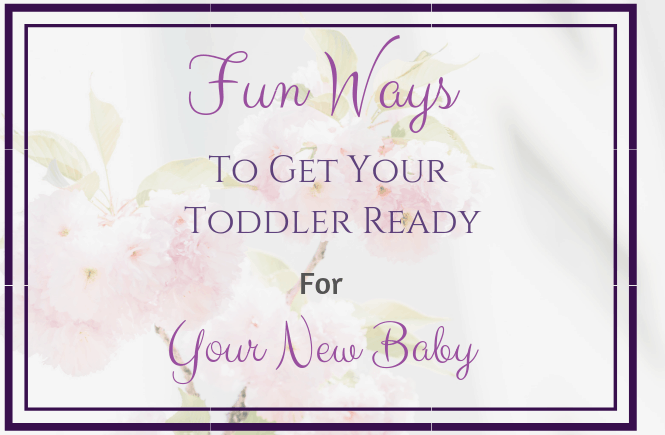 Lavender, Eucalyptus, and Frankincense are all really great natural essential oils to help you and your baby breathe better. Get well soon and congratulations on your new precious little one. Stay healthy for them and for you. 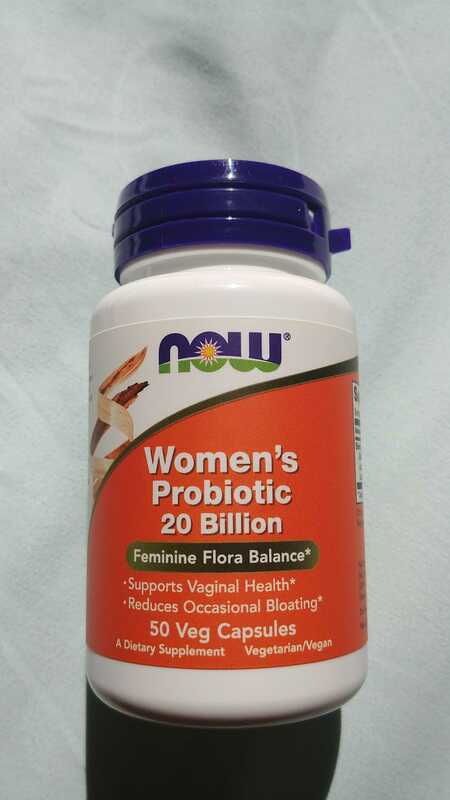 *I received this product, NOW Women’s Probiotic 20 Billion, from Mom’s Meet (momsmeet.com) to use and post my honest opinions. Compensation for this post was provided. Also, you may see our Disclosure Policy. Thank you! 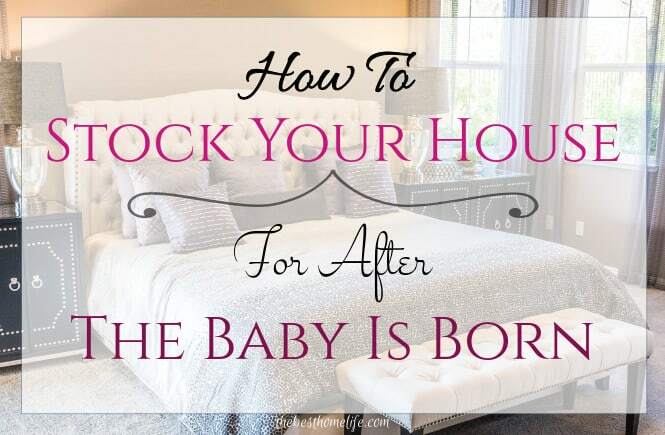 Yes these tips do help whether you are pregnant or not. 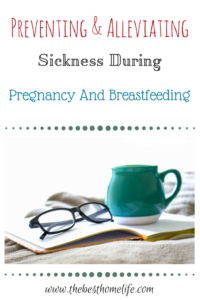 They are just more geared toward pregnant or breastfeeding mommies because there isn’t very many options to choose from to help you when you’re sick.